Do you want to hear a scary statistic? According to the Merkle Group, 63% of CRM initiatives fail. Okay, breathe. That statistic is from 2013. We’ve learned a lot of new information and CRM technology has evolved significantly in the past 6 years. Heck, 6 years in technology time is the equivalent of decades in regular time. So why were so many initiatives failing in 2013? A lot of the problems can be traced back to one simple factor — the companies using CRMs weren’t using them to their full potential. And in a lot of cases, the initiatives also weren’t company-wide. This means that some departments weren’t using the CRM at all and other departments were only using certain features. With those issues in mind, of course the initiatives were failing. It’s like baking a cake but leaving out baking powder. Without the rising ingredient, you’ll get something closer to a pancake. Still edible and possibly even tasty, but not the cake you were hoping for. Similarly, implementing a CRM without fully committing to the project will often yield some results, but it won’t give you the ROI you were hoping for. In this day and age, there’s no doubt that a CRM is an essential tool for your entire business. Companies can reap huge benefits from utilizing their software effectively; these benefits include better data management, more efficient workflows, and even higher sales. In fact, if you’re not already using your CRM to manage your sales leads and improve your sales process, you’re missing out on some of its most powerful capabilities. The following tips will help you make the most of your CRM so you can drive sales and improve your bottom line. Your software solution is only as good as the information it holds. A CRM can be extremely valuable because it lets you maintain centralized data on your prospects. Theoretically, this should make it simple for your sales team to see which individuals might be ready for a follow-up. This only works, though, if every employee records information about every interaction with a prospect. And this isn’t happening as regularly as you might think. According to HubSpot’s State of Inbound 2016 report, 22% of salespeople didn’t use a CRM and 40% used other methods to store and refer to customer data, such as email or other fragmented programs. While you can hope that those figures have improved over the last few years, it’s better to take action to improve them. By creating a protocol for CRM usage and training all new employees on it, you can ensure that your CRM always contains up-to-date data on potential sales. Sales and marketing should go hand-in-hand, though there is often some competition between these two departments. This is unfortunate because when you have two siloed teams that don’t share information, it can negatively impact your sales. In contrast, everyone benefits from having these teams work collaboratively: the more successful your marketing is, the better your sales will be; the more sales you make, the more they can inform your marketing. Making CRM use mandatory for all teams is one step toward this vision, as it helps all users stay informed about ongoing initiatives. But to take things a step further, run joint CRM training sessions for your marketing and sales teams. Ideally, these sessions will spark conversation about how each group uses the CRM. This, in turn, should encourage all users to ensure they are recording the data their colleagues need to do their jobs. Of course, CRM software offers your team a convenient way to store customer and sales data and access it in real time. A related benefit is that most CRMs can also generate summary reports on your sales performance. With these reports available upon demand, it becomes easier to review and iterate upon your sales process. For instance, by looking at a breakdown of how many potential deals are in each stage of the sales pipeline, reps can see where to focus their energy each day. Meanwhile, managers can identify areas of progress or concern by looking at a report of how many sales were closed per month and where those sales came from. For maximum efficiency, your CRM should integrate seamlessly with the other programs you rely on. 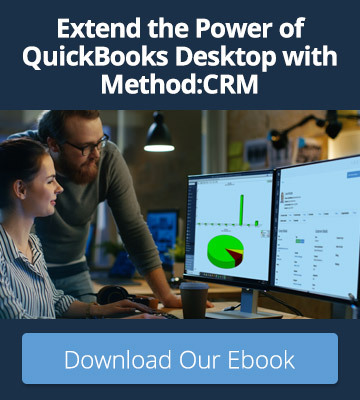 For instance, if you’re using QuickBooks for accounts receivable, then you want your CRM software to sync directly to QuickBooks. This enables sales reps to close deals faster because they can create quotes, send invoices, and log payments directly from the CRM. Email integrations are also highly beneficial for sales reps, as they cut down on time spent switching between programs. When reps can view CRM data right in Gmail or Outlook, it allows them to successfully nurture prospective customers through personalized emails. Using the workflow management tools available in your CRM allows you to simplify processes while avoiding costly errors. With a set workflow in place, employees will always follow the same path, meaning that they can’t accidentally skip a step — the system will let them know if something is missing. In addition, information entered in one part of the CRM can automatically populate in another, eliminating the need for double data entry. A customizable CRM is particularly valuable here, as it enables you to automate tasks that are specific to your business. By streamlining your unique sales process, your team will be able to close more sales in less time, with less manual work involved. While new customers are certainly important, loyal customers are the lifeblood of your business. One great way of using your CRM to its full potential is to look closely at the end-to-end customer journey. With each customer’s communication and transaction history all in one place, it becomes easier to identify opportunities for repeat business. For example, you could filter your customers by the date of their last order to determine which ones might be ready to purchase again. You could also schedule reminders to follow up with each customer within a certain timeframe — every six months, two weeks before the end of their contract, and so on. Being able to access data remotely is essential for modern businesses, especially if your sales reps often meet with clients out of the office. So to get the most value out of your CRM, make sure you choose one that offers mobile apps. After all, you can’t take advantage of the above features if you can’t use them. With a mobile CRM, it becomes that much easier to close sales anytime and anywhere because employees always have access to the data they need. With the right CRM in place, it becomes easier than ever to deliver top-notch customer service and boost your sales. So if you’re not yet using a CRM, what are you waiting for? 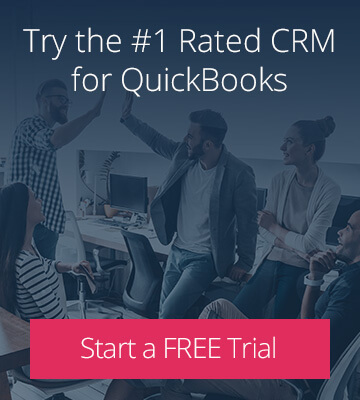 Sign up for a free 30-day trial of Method:CRM and see the benefits for yourself! Ready to get started with a sales CRM?